AKIPRESS.COM - Mongolia's parliament speaker Miyegombo Enkhbold has rejected a proposal of dissolution from the country's president. In an official letter on Oct. 29, President Khaltmaa Battulga called on the parliament to dissolve itself, after reports went public that some lawmakers and their relatives have obtained loans with low interest rates from a fund aimed at helping the development of small and medium-sized enterprises. The letter accused the parliament and the government of not fulfilling their promises to the people and violating laws and regulations by abusing their powers. 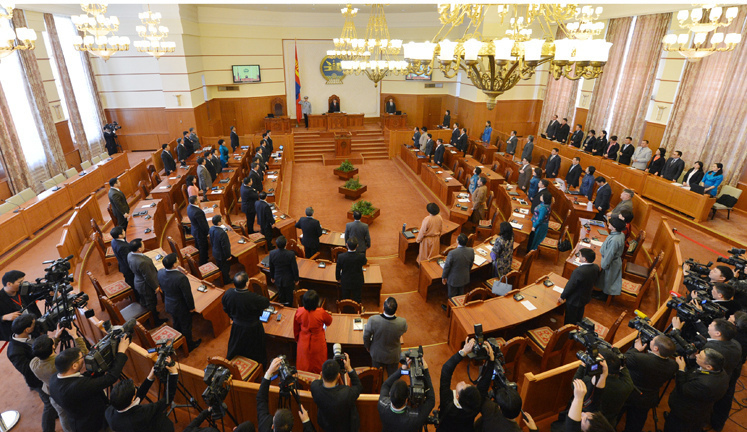 In his responding letter, Enkhbold said that there was no need to dissolve the parliament which "has been functioning normally and resolving pressing issues of the economy and society on time," Xinhua reports. Issues surrounding the fund have become a hot topic recently with four Mongolian lawmakers allegedly lent money coming from the fund to citizens with high interest rates through their non-bank financial institutions. A number of other high-ranking officials, including Secretary-General of the ruling Mongolian People's Party Dashzegve Amarbayasgalan and Auditor General of Mongolia Dorjsuren Khurelbaatar, allegedly obtained loans from the fund by abusing their powers.